Are you trying to advertise your business on the internet but just don’t know where to begin? Are you looking for a good deal? 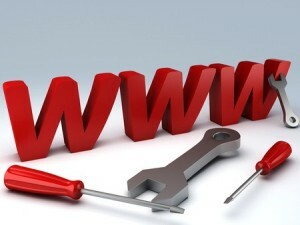 A good way to find both is to use a search engine and search for a website builder for novices. A website builder is a programme or a person that builds you a website that suits your needs. It will build your whole website without you having to understand the programming that is happening. All it will require you to do is add text and pictures where you require them. Searching online will give you an idea of the different types of website builders. Depending on your business you may need to update your page so will need to select a builder with this option included. You will need to ensure that the website builder is user friendly otherwise you may get stuck and not know what to do or where to turn next. What Can I Expect From A Website Builder? All builders are slightly different. Some of them will give you the option of changing the layout of your webpages. Others will let you change the writing style used. It depends on what you are looking for to which one you decide is best for you. If you are looking for a builder that allows you to alter your page, for example you may want to add a blog page or you may want to add some photos to your website you will need to find a builder that includes a file manager as this gives you the option of altering your pages content after it has been created. You can get both online website builders and software which you can complete offline. The best in my opinion is by far the online website builder as it will cost a lot less than having the software programme. It is also more accessible due to you being able to change it from any computer that has access to the internet. Depending on which one you choose the prices will vary. Most online builders cost around £5 a month to keep them up to date or approximately a £50 a year one off payment. Software programmes can cost anywhere in the region of £50 to £350.00.